Several years ago, when I was ready to own a home, I bought a lot overlooking a river and had a house built. Once the house was up, a landscape architect met with me to propose a plan for the property. That fall I paid the landscaping company what seemed like a fortune and then sat back to watch. Sensing my lack of enthusiasm, the landscaper urged me to “just wait and see.” The next spring, the scene was still less than spectacular. And the weeds—oh, the weeds! I waited some more. We pulled more weeds and applied fertilizer to the beds and kept waiting. Each year a gardener pruned back the plants, shrubs, and trees. That didn’t exactly look like progress to me. But what I could not see was that the sunshine, rain, fertilizer, pruning, and even the winter snows were helping those plants to grow bigger and stronger. It has now been more than ten years since I put in that garden. These days I can step outdoors any time between April and October and see an array of beautiful flowers and plants. It took years of careful oversight, but now my garden is fulfilling the purpose for which it was intended. It is a place of great beauty and sweet smells providing enjoyment to all who visit—a place where hearts are lifted toward the Creator. Now here’s my point in telling you all this: The One who has chosen you to be His own longs to find delight in the garden of your heart. As you walk in union and communion with Him, a sweet fragrance will be released and luscious fruit will be born—the fragrance and the fruit of His Spirit. How can you make your heart a garden for God? Carefully tend it by spending time with Him in prayer and intimate worship. She replied, “Oh, that is not my decision. I made a choice long ago that when He wanted to have fellowship with me, I was available.” No matter the hour, when this woman sensed God calling her, she would get up out of bed, go to her piano stool, and worship her Lord. It is no wonder, then, that Jesus’ effectiveness in ministering to the needs of others was born out of His times of communion with His Father (Luke 5:16-17). In fact, whenever Jesus withdrew for a season to pray, the crowds were afterward drawn to Him like a magnet, for they saw in Him the likeness of His Father (Mark 6:46, 54-56). Each of us has the opportunity to cultivate the beauty of a daily devotional life. Time spent alone in the Word and prayer each day will bear fruit in our lives as we experience an ever-deepening intimacy with the heavenly Father. Those who are willing to come apart from the clamor and demands of each day’s activity in order to sit at the feet of Jesus and listen to His words will experience an intimacy that most believers will never know. The fruit of that devotion will be manifested in an orderly, peaceful life. Should you choose to cultivate your heart as a garden of the Lord, you will be blessed and others will be blessed. And it is all, all, all for the Beloved. 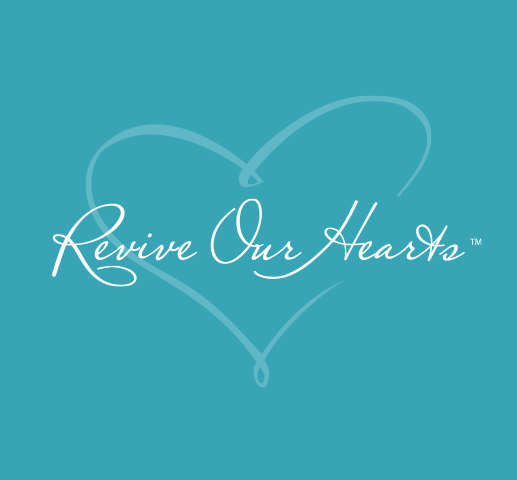 © Revive Our Hearts. Adapted from A Place of Quiet Rest by Nancy Leigh DeMoss. Used with permission. Available at our store.